Courtesy of World Sailing TV An update from Leg 1 of the 2017-2018 Volvo Ocean Race. Courtesy of Volvo Ocean Race The fleet raced through the narrow Gibraltar Strait in 30 knot gusts, tide against wind and close, intense battles. Here’s how it looked from the air. 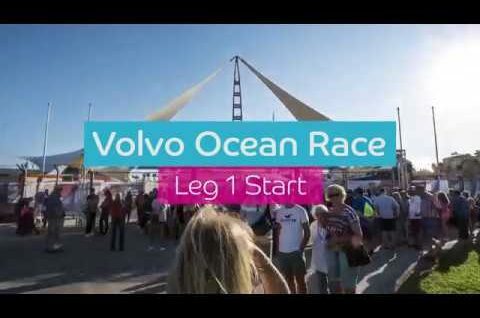 Courtesy of World Sailing TV A quick summary of the action from the start of Leg 1 of the 2017-2018 Volvo Ocean Race in Alicante, Spain.